You must also follow the other Oekaki Rules. *If you have trouble coming up with a background for your lineart competition, feel free to use either of these pre-made background packs: pack 1 & pack 2 (regular canvas) & pack 3 (larger canvas). 1. Don't offer any prizes that you'll regret losing. If you're not happy to give something away, it shouldn't be a prize. 2. Any prizes you offer must be awarded to winners at the end of the contest - even if you cancel or close the contest early. If the entries were disappointing or you didn't get many to pick from, advertise and bump more to try and get more entries before you close. 3. You can't list any prizes that aren't definitely going to be given out. This means you can no longer list conditional prizes (e.g. grand prizes) which you'll only give out if you get a particularly good entry. Every prize listed must be awarded at the end of the contest if the entry conditions are met. 4. You can't change your promised prizes, unless you are changing them to something of the same (or higher) value. Any changes made must be accepted by the prize winner or contestants involved. 6. You can't trade or auction pets that you're offering in a contest. 7. Contests without an advertised end date must end within 3 months. The end date can be changed or extended, but if the contest has been open for a long time without any activity from contestants or the contest holder than it may be forced closed by staff. The long awaited opportunity to make it to the staff team! I know a lot of people have been interested in this chance for a long time. This competition will run from now until April 15th. Extensions will be available if desired. You can go as crazy or as simple as you'd like. Things like items and edits are optional. Post your entries under a cover and include this form filled out under the main post. Each individual entry should include phenotype and genotype at a minimum. You can include other information if you'd like. It is now a requirement to fill this out for individual entries! Some designs from this competition will be selected for use in the breeding artist competition. Your designs have a chance to be adopted if chosen for the other competition! So keep that in mind when choosing to enter, you will not have a say in where it goes if selected. You will have the option to enter for your own designs if they do end up in the competition pool. A quick tip for spicing up your entries! Colouring the lineart and/or the shading layer can add new life to any design! Feel free to request feedback on any designs, I'll be regularly looking through entries to help with genotypes and giving general hints when it is wanted! Make me a species !! What is the prize you ask? plus 5 extra wl pets/items !! Note: The species I choose is the winner will belong to me afterwards, but the original artist will be given credit for their work. Lore Foxes are assistants used by magic-users in libraries and act as wonderful historians and messengers, gathering up and hoarding scrolls. They survive on knowledge itself, and thus are constantly searching to learn more and more to keep healthy and content. All lore foxes carry a source of knowledge with them, as it is necessary for their summoning and often they place their favorite stories on these blank books/pages. These can be anything that can provide a story (within reason); including books, scrolls, etched/carved tablets, papers, carved jewelry, origami with writing on it, ect. for a more modern take, things like laptops-ipods, cell phones, ebooks,ect are also allowed. 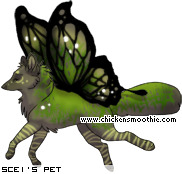 As an event for easter, I've decided to open lore foxes temporarily to free Myos! Under this thread, you are permitted to make a lore fox for yourself! Whether you are an owner or a nonowner. Each person may have One MYO, you can make it yourself OR have someone else make it. If you're caught having others make theirs to gift you multiple, I will refuse to approve them and you will be required to move them to other species/lines. You may do them off oekaki if you prefer, but you will need to message me privately for that. Covers will not be permitted as they arent allowed on CS, you must message me with a link to them to be added to the archive/approved. my pms will be off for a day or two for personal reasons, just message me in a few days or on discord sixbane#0551 if you need a quicker response. Custom lines are fine, as long as they, and their edits, are still recognizable. If you have questions on a trait/what you may add, you are welcome to ask! Once you complete your MYO, it should retain a fake sign until approved by a member of staff. MYOS will remain open from now, until 12:01 am on May 1st. Myos for this species are only permitted during special events. 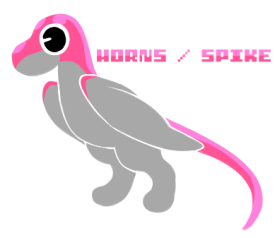 Dinoken are a small species I decided to make for fun! They are about the size of a small turkey and weigh as much as one too. They live in pretty much any climate and habitat, but tend to prefer very moderate inland weather. Some prefer to stay high in the mountains, picking fruit from the trees of cloud forests, while others scrounge on the grains of the lowlands. Dinoken tend to live in flocks of 2-5, with the odd straggler living in solitude. They are rarely aggressive unless provoked, and really enjoy human interaction. 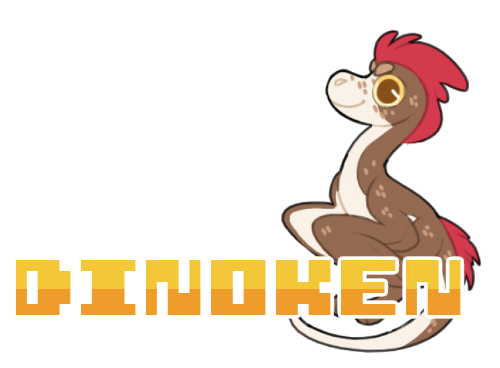 Overall, dinoken are interesting animals with many different variations and temperments! Some dinoken can even grow fur and horns! I hope you enjoy your time with the species! Welcome to the Dinoken MYO Event! This event is an opportunity for those who want to make their own dinoken and get involved in the community! If you are new to dinoken, this is the perfect event for you! During the course of this one month event, anybody has the chance to create 3 entries containing their dream dinoken! However there's a catch, in order to win, you must design and also develop your dinoken into a full-fledged and beloved OC! Please read the rules and instructions below on how to enter! • Please be courteous to every member of the community, treat others how you would like to be treated. • You may make up to 3 enteries. • In order for an entry to be considered, you must complete both the design and at least 5 prompts. • Please do not enter competition after it has been closed. • Please make your entries under a cover! • The competition ends on March 2nd, 2019. • If you have questions, ask! 1. Before producting any enteries, please colour in this drawing and make a cover for your entries! 2. Design your MYO dinoken and abide by the edit guidelines below. 3. 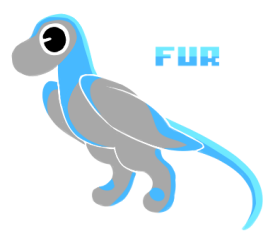 Post your design entry, choose at least 5 prompts (excluding Username/Name/Gender) and develop your dinoken! You may draw art, write stories excetera, it's up to you how you want to develop your dinoken! Highlighted areas represent where these edits may be placed. Up to 3 tails, different shapes of tail, pupil shape, missing limbs, glow, height / weight, whiskers, scars, split pupil, split eye, missing eyes, scales, rattlesnake tail, accessories. Mineral / Organic growth (plants, crystals, fungi), powers, halos, multiple sets of wings, webbed fins, elemental aspects, gills, multiple heads, antlers, mechanical / electrical implants, colour / pattern changing. Ears, multiple eyes, front legs. 1. Describe your dinoken's personality in 5 sentences. 2. Create a moodboard that represents your Dinoken. 7. Create a 5 song playlist for your dinoken. 18. What is your dinoken's subway order? More prompts to be added! Competition ends on March 2nd. You don't need to add the charm on the shoulder, but it does help me decide. If you could make another entry possibly with a charm above the shoulder? I've been looking for someone to make me a species since I lack the talent in the art department. I have wanted to do this for a long time but never had anything to give away as prizes, but now I do! Now, I will state the rules and what I am looking for, but feel free to venture off a bit. I'm so excited and curious to see what you guys come up with ! This will end on May 27th. I don't have a species in mind, but I'm looking for something that is a hybrid, but I don't care if it isn't a hybrid as well. Animals i like are deer, horses/ponies/donkey's, dog's, cat's, and ferrets. I am not a huge fan of any type of bird (unless mixed with an animal I like), llama's, alpaca's, and rats/mice. I love theme's, like any type of theme's, but mostly Greek and Egyptian. I would love to see different types of rarity traits! But it is completely optional. Runner ups may be asked if they want to be an artist for the species via PM. The Winner will get to be an artist as well and if I ever for some reason decide to leave the species or give it away, the original line artist will get complete ownership of the species upon my approval. Welcome to the Guppy Easter Egg Event! you can win a pet from this group! Teriyaki wrote: Is off-oekaki art allowed? DON'T REMOVE THE FAKE SIGN. Don't sell these or put up for adoption. Don't color in your OC'S on these lines. Do not sell under competition. If you have ideas, post them! Ask me before making a event or any of that when you are a artist. make me an oc! 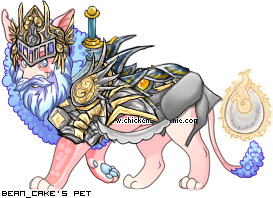 store pet set grand prize! time or creativity lately to design anything i like 4 myself. make an entry with ur drawing beneath in the description or whatever. here are some suggestions for character ideas but i am not very picky. feel free to design a characters off of moodboards/aesthetics/themes of ur choice! rats, bats, raccoons, opossums, etc. Hello and welcome to my "make me a species/create a species" competition! Before we begin, if you are interested in entering, please be sure that you'll be accepting of the prizes that are found here. There will be 5 winners total, each will receive a VR and their select choice of 9-10 rares depending on their place. - I will be keeping the winners' entries! - A "lock alpha" layer with the base color. These are just a list of things I like, but I highly encourage you to make what you'd like! I don't have a huge amount of dislikes, I just want something others can enjoy as well as myself! This will end if there are 5+ entries by 19 May 2019. If not, this may be extended. Extensions may also be asked for if you need more time. excuse me, could you provide some more likes/dislikes? bug;‌‌‌‏‏‏‏‏ wrote: excuse me, could you provide some more likes/dislikes? Unfortunately, I don't have many dislikes for a species. I enjoy anything that isn't any type of creepy crawly or a snake. The only other thing I could add is not liking parts simply for aesthetic, which the only example I can think of is a species having wings fit for flying, but being unable to. "Flame-tailed longbacks are energetic creatures born from ash and flame! 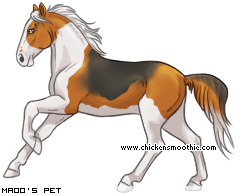 Their mane is so light and hot that it mimics flames! their fur, on the other hand, more closely resembles ash, ranging from pale white to pitch black. You may have noticed the odd, clear pouch on their necks. It's full of an extremely flammable substance, and the flammability and colour of it ranges from each longback! They use their long tails to balance themselves as they climb. Their sharp retractable claws help, too"
Hello everyone, as some of you know.. I am character crazy. I don't have as much free time to design characters anymore, so I figured another contest! 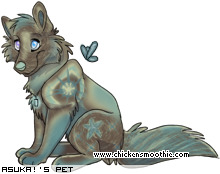 Yes, I am once again using this base.. but feel free to use any base you want, just link the character(s) on this post! - I might revamp the characters later on, please be okay with that! - The more batches you design, the higher chance you have in winning, though if it is a very high quality character that also helps you of course! - Don't whine if you don't win anything, It's a bit disrespectful! - My gallery has tons of designs I like! but I don't believe that based on how many other guitar-shaped things I see on a regular basis. They kind of look too flat to be eggs, in my opinion, but I'm not really sure. I'm not the scientist here. and see if anything happens. We'll let you keep it if it does. you may only enter this competition if you are wanting to join the artist team. and genotype. 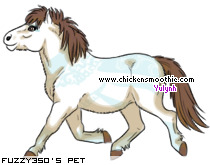 the genotypes for this breed can be found under the genetics thread. your entry will not count if neither are included. three entries to be in the running for artist. do not use the puppy lines unless i have stated i'm looking for nursery artists. i will contact you if i wish for you to be on the team, do not pm me asking such. simple enough i need a few new characters to start my collection of big cats. here's a few notes to get started. but design quality does. make me something relatively simple but original! would prefer if he was the only lion character that i had. sorry !! find working with bird palettes difficult, egyptian inspired designs are a favorite of mine! go wild though, if i like a design i'll choose it regardless of the palette. some exceptions. NO WINGS WHATSOEVER! will be added once we reach 15 entires! first place ;; click here to see the group! second place ;; click here to see the group! third place ;; click here to see the group! Hello! Still pretty new to this site so I'm still learning the ropes. Hello there! I've decided to try again with finding someone to do lines for my species. This time, however, I have a very good idea of what I want, but lack the artistic talent to draw it. This is why it's a "draw my species" instead of "design my species" type of title. I'm going to let you know what I'm looking for, what the rules are, and then let you know the prize. (yes, just one!) Since this is the same species, I'm only going to be picking one winner for this contest. I don't plan on using any other lines so there's no reason to award more than one prize. The end date for this contest is May 5th everyone gets a participation prize from their WL! 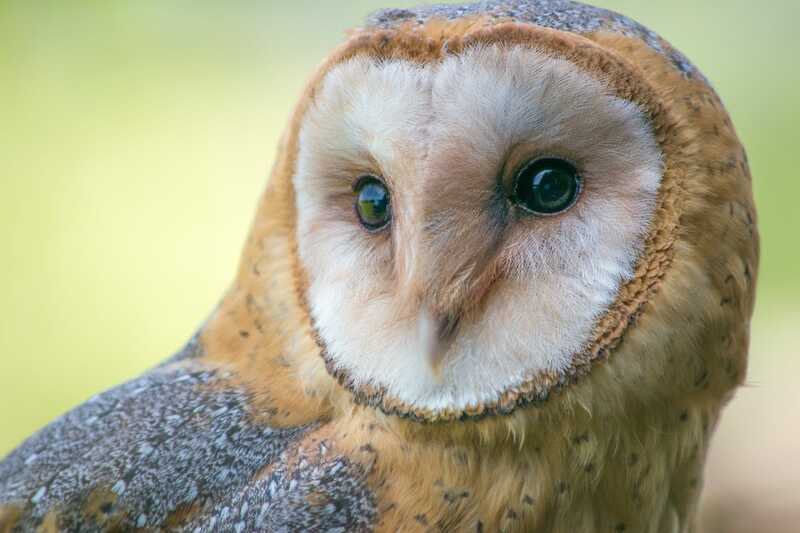 Owlies are a species of Owl Griffins that can vary in size depending on where they are raised. They can be anywhere from the size of a house cat to the size of buses. The more space they have, the bigger they will grow. Their diet consists of meat, but they are also known to eat berries and fruits. They prefer to live in snowy areas, but they have been seen around the world in many climates. 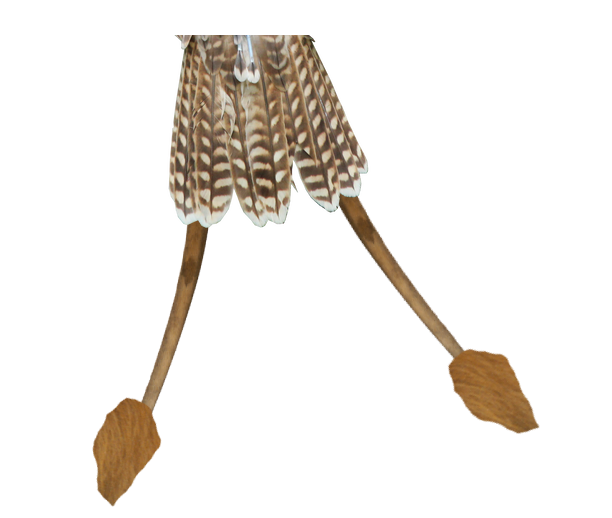 What sets these creatures apart from other owl griffins is their fondness of humans and other creatures. Once one has bonded to you, they are extremely difficult to get rid of. They are usually great companions for adventurers since they can be taught magic. - You will be credited to drawing the lines and the original lines if the lineart is to ever change. 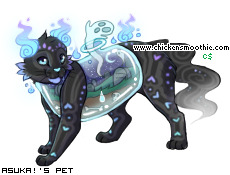 AS a thank you to everyone who entered, I do want to reward someone who didn't win with a rare pet! 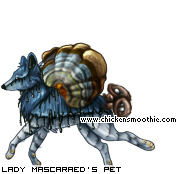 If you end up not winning, you will be entered into a raffle for the following pet. Everyone who enters will still get something. This is just for after the contest has ended, just as an extra little giveaway! I've been a member of CS for a long time, had ups and downs on this website, met new people, probably traded with over 1000 people and joined lots of other websites because of CS! But as fate would have it, after spending almost 6 years on CS, I finally decided to quit. Partially. I want to start over, from point zero, and work my way back up. I've spent most of my time on CS trading up and down the list, never really paid attention to the community part of this browser game and only somewhat got to know you guys. By hosting this contest and by giving up literally everything I have achieved I hope that I will finally get over my bad trading addiction and focus on being a part of this community. Because, who knew that trading could get so incredibly boring over time? So here we go, the thread has finally been set up! ⇻ The end date is April 1st. ⇻ An extention may be granted if requested by enough users. ⇻ Please respect all of the official CS rules! ⇻ Your entries do not have to be made on oekaki. They can be offsite. However, all I ask of you is to make a cover for your entries so I don't have to search them in this thread every time I want to take a look at them. ⇻ You may use bases, on- or offsite are both fine! ⇻ You may not offer designs of closed species. ⇻ Entries will be judged upon by creativity and art quality. That means that if your art isn't as "good" as someone else's art, then you still have a fair chance of winning if your entry is very creative! ⇻ You do not have to follow any of my likes and dislikes, by any means. If you feel like your design is better suited for a cow than a wolf (weird comparison I know but I couldn't think of anything better lol) then feel free to make a cow character! Just be aware of the fact that this might lower your chances of winning. ⇻ There is no limit to how many entries you can make! now onto the interesting part, the contest prizes! There will be a total of 5 winners! They all get to choose their prize in order from place 1 to 5. All other contestants may keep their designs and do whatever they please with them. If your design wins the contest I will claim full ownership of the character! Proper credit will be given at all times, naturally! This is a way to make becoming an artist easier! You can change the lineart for the Noodle and the bowl, because it's cool to have different styles! artist rules are stated in the main post! The Search has begun! Make sure to thoroughly read through EVERYTHING, both here, and the main adopt page. 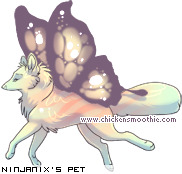 Customs page has all the available info on genetics, so might as well give that a read too! 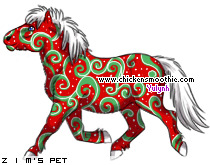 All artists are permitted 4 stallions and 20 mares, as opposed to 3 stallions and 15 mares. 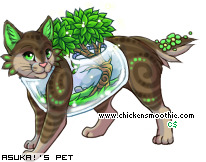 Breeding Artists will receive 80$c, and one pet from this group. 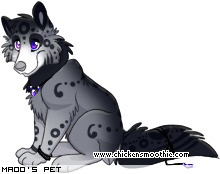 Custom Artists will receive 80$c, and one pet from this group. ^ If you are hired for two titles, you'll earn 100$c and two pets. ^ If you are hired for three titles, you'll earn 150$c and two pets. 1. You are required to read through this thread as well as the main adopt thread. To be a proper staff member, I need you to understand this species. Feel free to ask questions! 2. If you are trying out for multiple titles, you need separate entry pages. as certain dun factors passing. 4. Please read here to know more about posting entries. 5. All entries are FAKE. 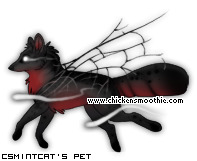 Only adopt artist hires can keep their adopt entries. still create their own customs. 6. You will only be considered if all your entries are finished. for not understanding everything. Again, please ask me for any help and assistance! and from clearly not reading over everything. 9. Pearl, champagne, and mushroom genetics are not found. read on genetics found in Destrals currently. common entry, one uncommon entry, and one rare entry. Challenge : Make an additional series of the same colors and markings, but show me how different each entry can be. Example: A series of three Destrals, all sooty silver standard bay tobianos, but all very different from each other. breedings you want to take on at once is also up to you. must be given from the other person. below and/or mix them with the mandatory pairs above. info outlined throughout the thread. minimal splash. Two apricot horns between eyes. Seal bay dun with rabicano, tobiano, and splash. roan, deep red chestnut, sooty restricted to back and barrel. Sooty red roan sabino with manchado. Mealy silver smoky black dun leopard appaloosa. overo pattern. Sooty is restricted to mane. 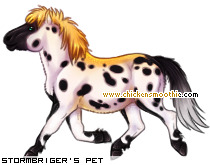 Sooty palomino roan frame overo with spotted blanket. if i wanna be an adopts artist, can i make a cover that says Adopt entries? or do not make a cover? items as a way to impress potential mates. Welcome to Deori's Artist Search! Link all previous entries to newer ones. Thanks for visiting the MGH Artist Search! Please read everything below before continuing. Winners will be chosen Beginning to Mid April. - Do not make a cover for your entry, they all must be individual under this post. If you're entering more than once, be sure to link all your previous entries in every new post. - Only use the adult lines. You can apply for a nursery artist position at the [url]Nursery Artist Search[/url] when it is open. - You can enter an unlimited amount of times when the search is open. When the search is closed, any entries made during that time will not be considered, be locked, and won't be eligible to turn into MYO or adopts. They will not count towards your position as an artist. - Do not remove the "FAKE" symbol. - Do NOT use any existing designs. Any entries must be purely unique and not based from yours or other people's characters, fursonas, other species and etc. If you have a specific idea in mind you're unsure about please PM me and we can discuss it. - Do not color this in for your own personal use. Any entries on these lines will be considered strictly for entering the competition and aren't to be taken elsewhere. You can keep your "design", but you aren't allowed to use the competition image or MGH lines as a reference, you MUST transfer your idea to another set of lines not associated with MGH. -The only time these are allowed to be used for personal use is to create a MYO out of them. 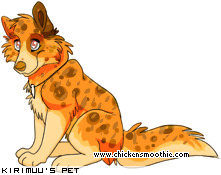 You can ask the artist who made them if you're allowed to claim for a MYO. Please respect their right to say no and their right to keep their entry for their own MYO. The artist is also allowed to decide if the design not be reused at all. - Only Oekaki entries are accepted. Off Oekaki artists cannot be accommodated at this time but that may change in the future! PM me if you're interested in being informed when that happens. - (optional) You can specify whether guest artist or full time artist would be better for you in your post. Guest Artists can make a total of 3 regular adopts and MAY be offered a full time artists position at the end of their time with us. Full time artists currently have the ability to make as many adopts as they want, but are limited to one new adopt release a day. - Line edits are allowed to the extent of the [url]species rules[/url]. Hello and welcome to the artist search! I'm bad at intros so let's just cut to the chase. 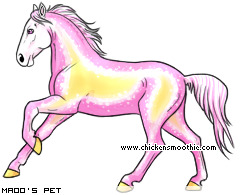 Here you may tryout to be one of our artist by coloring in and editing the lines into fake adopts. You must make a minimum of three entries before becoming a potential candidate. If you get the position you will then be a guest artist for a month as sort of trail run. After the month is over, you will have the option to stay a guest artist for another month, become a ghost artist or upgrade to full time artist. The option to quit is of course always available and if you plan on quiting, it would be much appreciated if you would let me know. More About Ghost Artist wrote: Ghost artist are simply people who still wish to be an artist for Kymphs but simply can't meet the monthly requirements for a full time or guest artist. 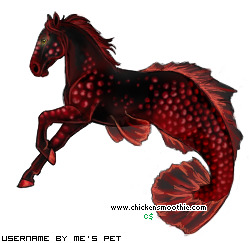 They are only required to make one Kymphs per month and they receive one uncommon myo for every five Kymphs made. More About Guest Artist wrote: Guest artist are normally newly hired artist who are currently in their month trail period. At the end of the month they may either change their position to a higher rank of remain a guest artist. 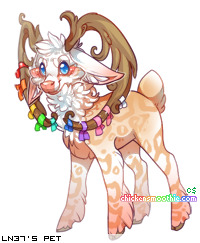 They are required to make at least three Kymphs per month and at the end of each month (if they have met the requirement) they receive an unlimited uncommon myo. More About Full-time Artist wrote: Full time artist are the highest of rank of artist in this community. They have a monthly requirement of four Kymphs per month and receive an unlimited rare myo at the end of each month if the requirements are met along with an uncommon trait for every two extra Kymphs made that month.